Digital loaning app, Paylater have recently been in news for every good reason. Right from hitting 500,000 downloads on Google Play Store (last year), to launching their investment tool, PayVest which promises up to 15% Return on Investment. And now, the startup have announced that their product has been downloaded 1 million times on Google Play Store. Loans were before now, one of the hardest things to get from the traditional banks. 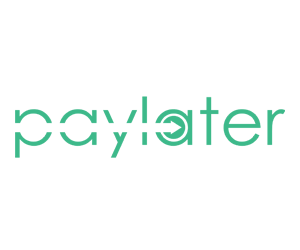 Paylater have made accessing them very easy, that once you have a bank account and a smartphone, you’re good to go. The launch of PayVest has also given way for the company to shore up its capital to keep granting more loans. The startup says they are focused on changing the average individual’s perception of adequate financial services which remains tied to the very limited offerings of traditional banks. As they move forward, the next target is 5 million downloads on the App Store. While number of downloads does not directly equal number of registered users, it shows acceptability. The App Store numbers has shown that users’ high receptiveness towards the app. Though still limited by internet penetration, FinTech is (and has always been) a force to watch out for. Growth FinTech, Google Play Store, Paylater. permalink.